Browse: Home / nfi is an open source application for analysis of mobile device artifact. 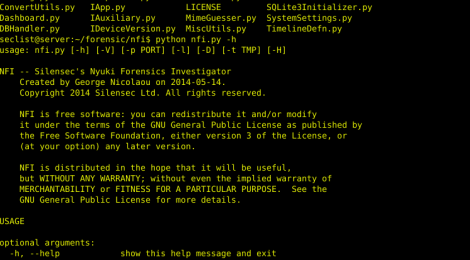 Nyuki Forensics Investigator(NFI) is an open source application, that aims to provide a user friendly interface for the analysis of mobile device artefacts, that exist on Smartphone devices running the Android and iOS Operating System. It can be used to extract specific and aggregated information from individual applications and system files using a simple modular architecture, which is capable of accommodating any changes to individual artefacts. Nyuki Forensics Investigator was initially developed during an Android application penetration test in our spare time. It later grew into platform that students could use during the Mobile Forensic Bee™ course offered by Silensec (read more). Finally, it was decided that the application could become something more than a training assistant and thus we began developing what would later be called the Nyuki Forensics Investigator. 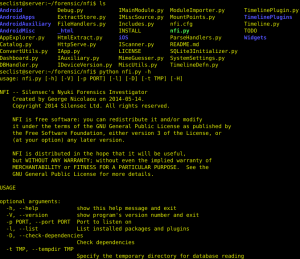 + cherrypy, python-magic, biplist, mako python module. 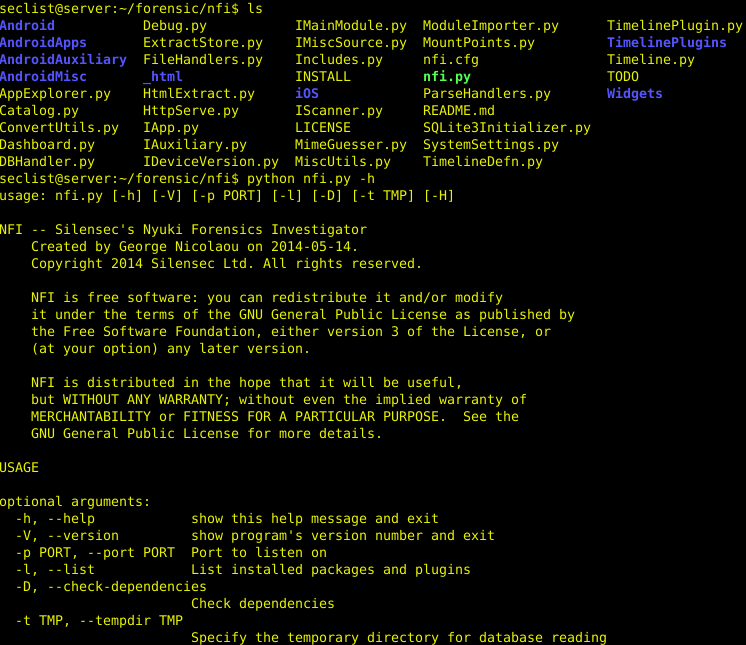 ← DR.CHECKER – bug finding and vulnerability detection tool for Linux kernel drivers.